“The warm air is pervaded by a pleasant sensation of white flowers, jasmine and newly blooming magnolias, garlands of moist moss, aromatic leaves and proud cypresses. Slowly the fragrance rises. Up, up, higher and higher still, to join, all of a sudden, the crystalline jets gushing in the fountains and resting on the mirrors of water in the garden. Millions of miniscule water particles intertwine to create a shining, perfumed veil that rests on the cold marble shoulders of countless statues: gods, nymphs, fauns, dragons and mermaids. 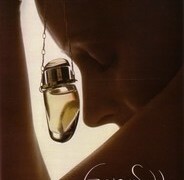 Time has stood still in the garden: yesterday is today is tomorrow,” writes perfumer Vero Kern. Elin: This sounds wonderful! Allthough I don’t know what galbanum smells like. I wish there where somewhere to go and smell individual perfume components, I don’t think it’s possible in Norway. For all my travels in Roma, I have yet to visit Villa d’Este, but I spent a whole day being lectured in its neighbour villa of Hadrian, an unforgettable day! I consider him ‘my’ emperor. I was once going to write my master about him, but it proved too difficult without German, Latin and ancient Greek. 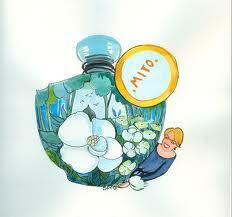 So I will have to smell the Annick Goutal perfume inspired by Yourcenars Memoirs of Hadrian soon! I only wish it had contained some bay leaves because I know his villa had laurel hedges in ancient times. Elin: I’m of the belief that one can never travel too often to Rome, so I wish you a wonderful return soon! I saw Bagnaia at my first trip to Rome, it was my first year of art history at university in 97, and in our old university system were the ground course was a whole year we had a lecturing trip of ten days in Rome in April, that’s when I fell in love with the city and Italy. Oddly it was my English professor who showed us Caprarola ( a fantastic Farnese villa) and Bagnaia on a field trip, a brake from walking across Rome from dusk till dawn. He was a specialist in renaissance literature and relished in the task of telling us juicy details! A lot of romantic intrigue going on in the grottos and so forth. My first taste of real sun ripened tomatoes, fresh bread and wine on the square in Bagnaia. All those sweet old lady’s coming up to us shocked of our light clothing in the sun, they thought we would die of cold. We couldn’t explain in Italian that we came from a city north of the polar circle with currently 2 meters of snow, and that 20 Celsius was summer to us. One year later I was specialising in ancient roman art and architecture and went to Rome for two months with my best friend who took a parallell course in early Christian art. It was the best time of our lives, our apartment had a big lemon tree in the garden and everyday we saw something wonderful in our studies or in our neighbourhood. Hadrians Villa was one of the absolute highlights, we were alone with our professor there a whole day and wandering around there he read ancient texts about the high society living, vividly captured by Pliny the younger. It’s vastness and architectural delights have directly inspired the big renaissance gardens and onwards. Hadrians vast collection of sculptures has not only inspired later collections, but are themselves to be found in museums in Rome and around the world.